Danielle Jewson is a senior urban designer at Hansen Partnership. She has diverse project experience across regional Victoria in landscape architecture, strategic planning and urban design. 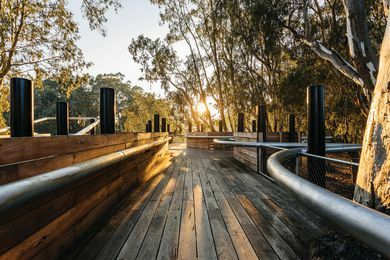 Community engagement, Aboriginal artwork, locally sourced timber and a piece of history have been brought together to create this new wharf in northern Victoria.